Hanukkah is now over but Christmas is just around the corner. And for people like me who celebrate Chrismukkah, I’m now putting away the blue and silver and bringing in the red and silver bells! 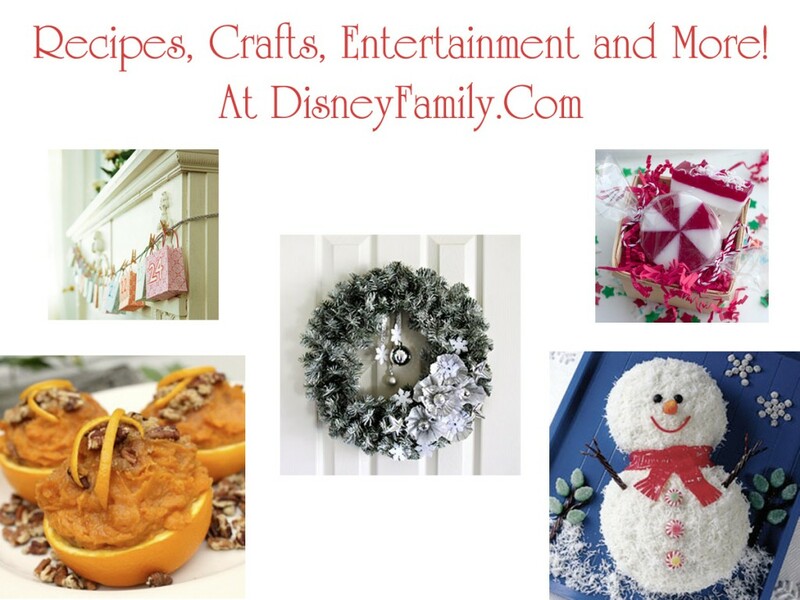 Some of my favorite holiday decor for kids revolves around Disney, so I was excited to learn that Disney has a new guide for holiday crafts, decor, and treats! Disney introduces All Things Merry: A Guide to the Holidays, which is a comprehensive and budget-friendly source for holiday planning. For fun and budget-friendly ideas for holiday crafts and decorations, you can find simple instructions for homemade Christmas ornaments on FamilyFun.com and decorative Christmas crafts at Kaboose.com. 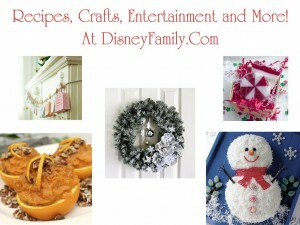 Family.com also offers a new series of how-to videos for making adorable Disney-themed holiday crafts, like Mickey Mouse Snowman Cards, and a guide for making other creative Disney Christmas ideas, perfect for Disney fans of all ages! Kids can make their own homemade Christmas gifts for loved ones, such as an easy-to-construct yarn candy cane ornament or a cute reindeer hand print. Kids can also have some fun with Christmas coloring pages or online Christmas games. ● Submit photos of favorite Christmas moments for Disney Family’s Christmas contest for a chance to win a Disney movie prize pack, laptop and TV! ● Enter FamilyFun’s Christmas sweepstakes for a chance to win $2,500 toward gifts, decorations and more! ● Showcase creativity on FamilyFun’s holiday craft contest for a chance to win a Disney California Adventure Park experience! ● Guests can also enter the Babyzone sweepstakes for a chance to win the ultimate nursery this holiday season! 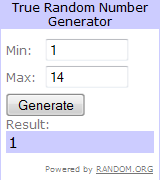 Disney’s Phineas & Ferb for Nintendo DS Give-Away Winner…. Congrats, Tara! Please e-mail me your mailing address to aimee@aintyomamasblog.com. Thank you to everyone who participated in this give-away! 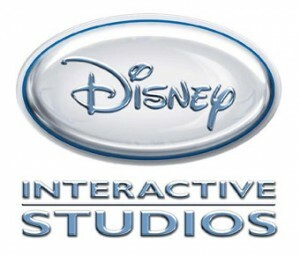 Disney Interactive Studios Introduces Wii Video Games: Review and Give-Away! Last week, the Monkey and I were invited to the beautiful Victorian in Santa Monica, CA for the Disney Holiday Blogger Tour. It was such a treat to preview all the fun items that Disney Interactive Studios has developed just in time for the holidays. 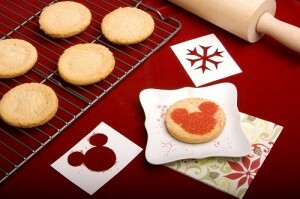 Disney recognizes that one way to spend time together during the holiday season is to make it fun and interactive. I love playing games with my family and, in my house, that often includes Wii video games. However, I usually reserve our host of Wii games for older kids and adults. As much as my 3 year old is fascinated by DJ Hero, I don’t necessarily think it’s appropriate for him to find his inner DJ Gregg Gillis just yet! Needless to say, I was especially interested in Disney’s new kid-friendly Wii video games. 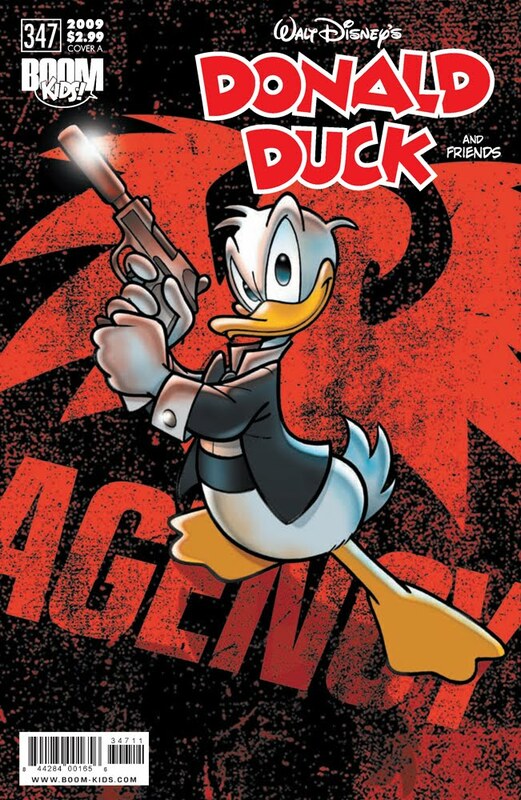 Donald Duck Has a Gun! In preparation for an upcoming trip to Disneyland, I sat down with the Monkey to watch some classic Mickey Mouse and Donald Duck cartoons on YouTube. I haven’t watched any of these cartoons in at least 25 years, but I remember especially loving Donald Duck. Who didn’t love Donald?!? These cartoons are classics! Now, before I let the Monkey watch anything, especially on YouTube, I watch it first to make sure it passes the mom-test. But this was Donald Duck, one of Disney’s most beloved characters. Of course it’s safe for a toddler to watch! We watched a few cartoons that were absolutely enjoyable and fun. Donald playing with sea lions, Donald flirting with Daisy Duck…and then the Monkey pointed to a small clip titled “Toy Tinkers”. Look at those cute little squirrels! And there’s Donald Duck in his house, getting ready for Christmas. Oh look, the squirrels see all the nuts Donald has laying around and are now breaking into his house. Those pesky squirrels! Now Donald sees them and decides to have fun with them. Ha! They’re playing a game with Donald as they each steal back the nuts from one another. Oh, how clever of Donald, he comes down the chimney dressed as Santa and hands one squirrel a small nut and the other squirrel a much bigger nut. Oh, now they’re fighting over it and…uh…they just smacked each other over the bigger nut. Hmmmm, I’m not so sure about this….wait, wha….WTF!!!! !….a squirrel just opened a nut to find a gun aimed in his face! 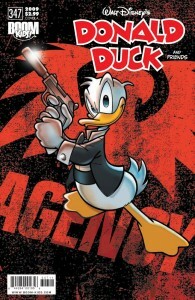 Donald is holding the gun directly at the squirrels and marching them away!!! I’ve never turned my computer off faster. After I settled my toddler back into the very safe world of Elmo and Abby, I started to click around for more old Disney cartoons. I was shocked by what I came across - WWII propaganda cartoons featuring Donald Duck and Nazis, Daisy Duck contemplating suicide, Donald and Mickey deliberately getting electrocuted by little mice, and Donald mistreating his three nephews very badly. Very, very badly. 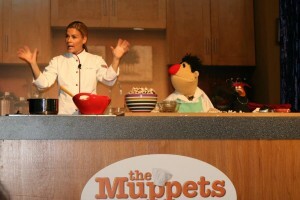 Foodie Friday: The Muppets Kitchen with Cat Cora! I headed to the Disney Studios yesterday in beautiful downtown Burbank to help celebrate the launch of The Muppets Kitchen with Cat Cora! As a huge fan of Swedish Chefs and Iron Chefs, I was thrilled with the invite and opportunity. 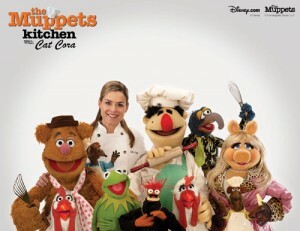 The Muppets Kitchen is a wonderful new online video series starring celebrity chef Cat Cora and Muppet Chef Angelo (who, with his thick Italian accent, is clearly not Swedish). However, Chef Angelo is a close friend and apprentice to the Swedish Chef and, as I quickly learned, is just as entertaining and lovable. His cooking skills, however, are questionable. The online videos, which are featured on Disney’s Family.com and Disney.go.com websites, are not only entertaining to watch but are filled with helpful cooking tips and ideas for little eaters. As a mom herself, Cat Cora has a ton of ideas for healthy and delicious food that even the pickiest eater will enjoy. There are no surprises and sneaky methods with her recipes. Cat believes that educating your children about what’s in their food and where it’s from is the best way to go. As she explained to the audience, knowing the ingredients of her food and trying everything at least once has not only expanded her own palate but helped her become the incredible chef she is today.